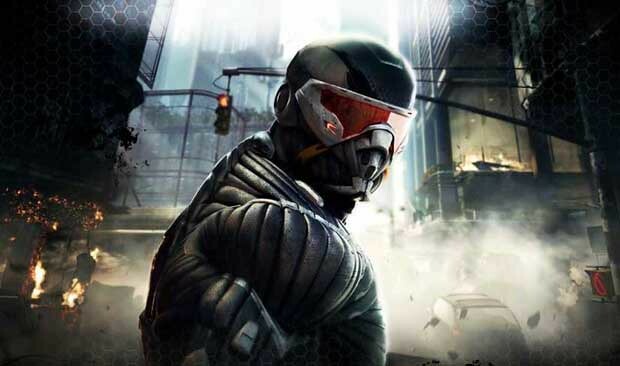 As one of the first AAA videogame titles this year, Crysis 2 shouldered the great weight of expectation that exceeds even what one would expect for the sequel of such a critically and commercially acclaimed title. Crysis redefined the first person shooter genre and set a new benchmark for technical achievement, could even the best of sequels hope to match up to either of these achievements? In one regard Crysis 2 succeeds easily, in that Crytek have once again set a new standard for visual quality. Crysis 2 is beautiful, and will tax even the most powerful of machines if you're a PC gamer. The only flaw is the absurd overuse of motion blur that makes everything look like you're wandering through some exaggerated dream, even in moments of inaction. Fortunately this effect can be easily deactivated via the console. In terms of gameplay however Crytek have made some interesting design choices. First the setting has been changed drastically from the Far Cry-esque tropical jungle of the original to an urban one, set in the burning rubble of an under-siege New York City. This is a pretty big deal because of the surprising ramifications it has on gameplay. Whereas Crysis brought a uniquely open world approach to first person shooters, with large maps designed to encourage exploration multiple different styles of play, Crysis 2 is far more narrow and linear in it's structure. The new levels are still large enough to allow for multiple strategies and a fair bit of route planning, but certainly nothing like the first game. Similarly efforts have clearly been made to streamline and simplify gameplay. Usually when game developers do this it concerns me, as many don't seem able to tell the difference between "streamlined" and "dumbed down" (see Civilization V for a perfect example), but fortunately Crytek seem to be on the right page here and have pulled off something of a technical marvel in accommodating the range of gameplay styles and "nanosuit" functions that made the original so entertaining, but in a far less cumbersome fashion. Far from dumbing down proceedings, the core gameplay in Crysis 2 is a far more focused and enjoyable affair than its predecessor. In terms of storyline, well if you're playing Crysis 2 for the narrative then you're barking up the wrong tree. It's typical sci-fi blockbuster fare, with the aliens that were discovered during the events of the original now converging upon civilisation in a full blown invasion. It lacks some of the suspense and mystery that made the opening chapters of Crysis so intriguing, in exchange for full on action; guns, explosions and carnage. This is not necessarily a bad thing for a game like this. The end product is a familiar yet inventive cinematic videogame, which sets new heights for videogame graphics and manages to focus and improve upon the gameplay of the original, perhaps at the expense of some of the distinctive open-world features which characterised it. In terms of making a lasting contribution to the genre, this game is more an evolution on a winning formula than a real step forward, but considering how good it is, we should be willing to forgive that.